Smiles all round! 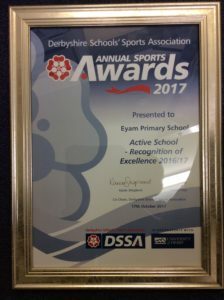 Eyam were invited to the annual Derbyshire Sports Awards and…..received an Active Schools award! Wow! Look who received it with the children – Mrs Hix and Mrs Adlington who run our lunchtime clubs. Our school is an inclusive school and very proud to set ourselves challenging goals. We aim to set high standards in all areas of school life. As a consequence, we take part in a wide variety of activities and try to offer lots of experiences for our children. We are aiming to be a bully free school – a place where children feel safe and learn what to do if they feel unhappy – a place where children can be empowered and develop the confidence to say no if they feel uncomfortable. 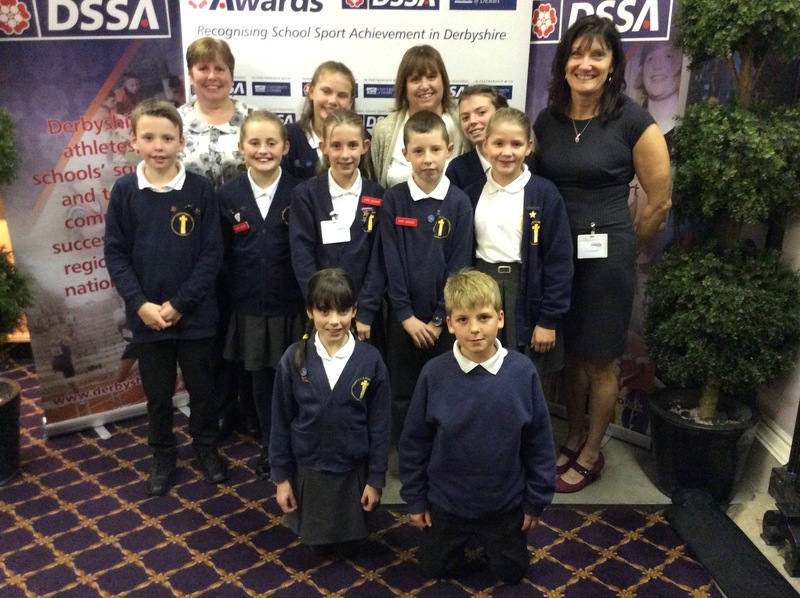 Eyam is applying for the STOP Award this year as well as undertaking the 360 e-safety audit. So here is what we are doing in school to find out all about how to be a safe friend. Eyam has achieved the Fair Trade Achievers Award in 2016. We have a Fair trade Policy which the Fair trade Fellowship members signed. Before we applied for the award we carried out an Audit to find out what we knew already. The children developed a detailed action plan setting out how we would embed Fairtrade learning into the Curriculum through using a What if? style of teaching as well as promote products to the staff, the canteen, clothing manufacturers and fruit suppliers as well as parents and the wider community. 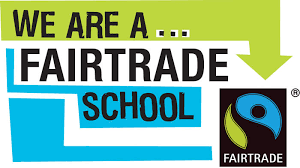 We also promoted the idea of fair trade through cake sales, a tuck shop and at a curriculum evening for parents that was based on our Fair trade learning. We invited guests into school to present to pupils and encourage lots of questions. We also used the fabulous resources on the Fair trade and global dimension websites and took part in Fair trade Fortnight. We achieved the Green Flag Award for the third time in 2012. To be an ECO School we have followed a simple seven-step process which addresses a variety of environmental themes, ranging from litter and waste to healthy living and biodiversity. We recycle plastic bottles, paper and we compost fruit. We try to save water and electricity throughout the school. We consciously close doors to save energy too. We take part in walk to school week and try to walk to school or use our bikes whenever we can. 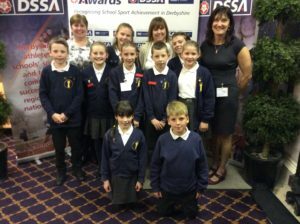 See our current Eco Schools page. 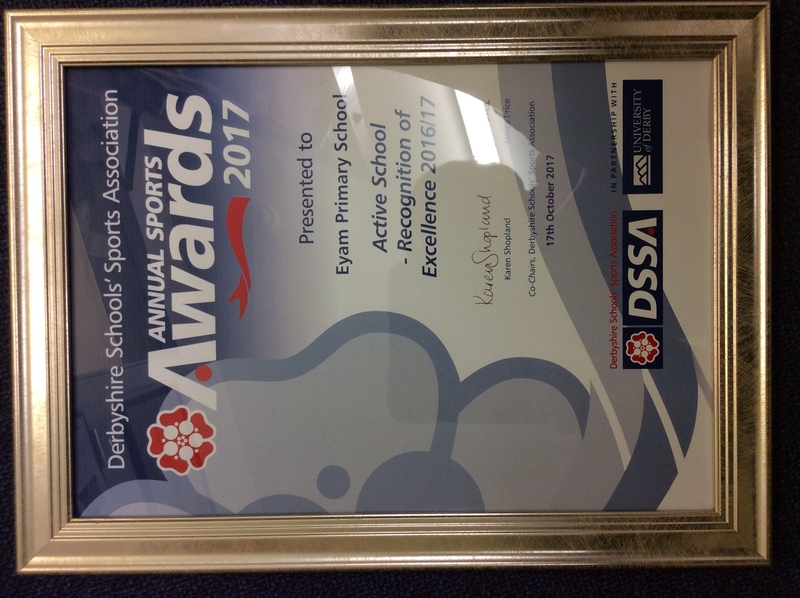 In May 2017, we were awarded the Derbyshire Health Promoting School status after working together as staff, children and parents on a variety of health related themes: playtimes and lunchtimes, healthy eating and our drugs related curriculum. As a consequence of our work, we now have an exciting playground area and games painted on the playground (all requested by the children), lots of playtime play equipment and ‘buddy system’; an established School Council system; healthy lunches and a whole school drugs policy. KS1 children are given a piece of fruit or vegetable as part of the ‘free fruit’ scheme. We are now busy applying for our Healthy Schools Community Award – we’ve compiled a detailed action plan, Healthy Heros lead a weekly wake and shake and below are reports about the 560 project we’ve completed. We proudly have several children taking woodwind, piano and violin music lessons and grades throughout the year. Music tuition is also offered at Lady Manners School and Hope Valley College. The school continues to take part in the very popular annual music festival with local schools, performing in Hope Valley College. Stickers are given to recognise good behaviour, work and attitudes. Achievement Certificates are given to children during Celebration Worship. Teachers and other children nominate children each week and share the reasons with everyone. We have a ‘Virtual Economy’ System whereby children earn virtual pounds for good behaviour or good work for example. Once their virtual bank account has £10 (the minimum amount we expect children to earn each week) they qualify for ‘Golden Time’ on a Friday. Attendance Certificates are given annually, to children achieving 95 – 100% attendance. Our new Silver and Bronze Award Pupils February 2017!